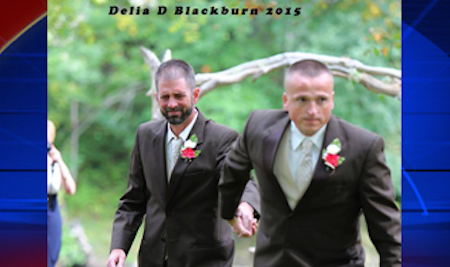 Father Of The Bride Stops Wedding To Do THIS To Bride's Step-Dad, And It Shocked Everyone! When wedding photos go viral if usually because of an epic romantic gesture or some embarrassing accident. However, in the case of Ohio newlyweds Jeremy and Britney Peck, the pair’s wedding has attracted attention due to something her father did. 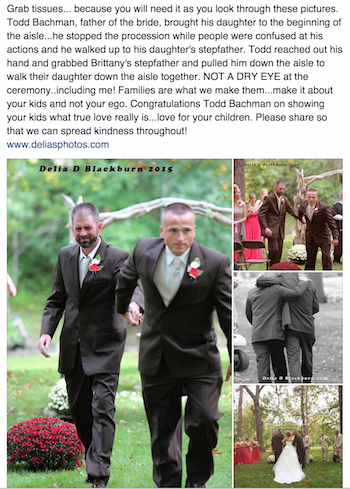 Todd Bachman stopped in his tracks at the end of the aisle and left his daughter to grab the hand of her stepfather, Todd Cendrosky, so they could both experience the procession in the moment of giving Britney away. Now this is what I call co-parenting!